This chocolate cherry cheesecake bundt cake has a rich cherry and cheesecake center surrounded by dark chocolate cake and topped with a rich chocolate and icing glaze. It is the best of worlds – cheesecake and chocolate cake – made in one pan. I love to bake during the holidays and I love cheesecake recipes. 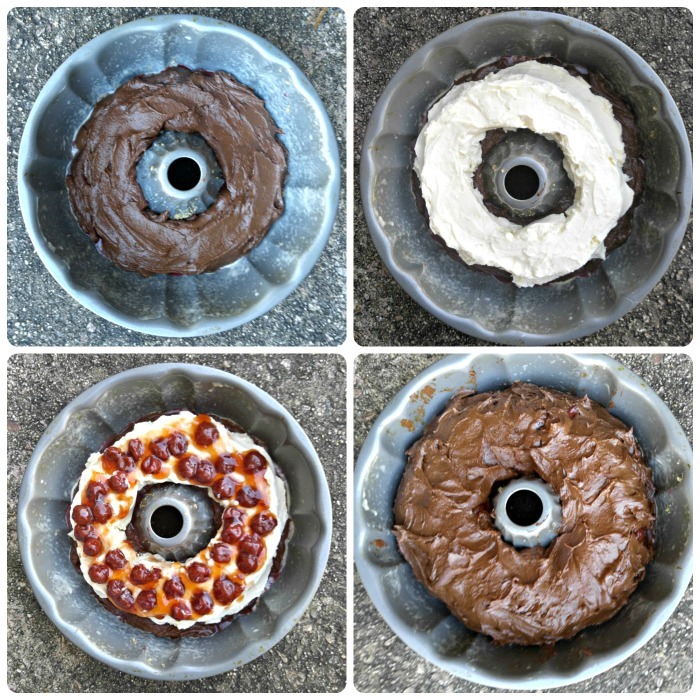 I thought it would be fun to combine both into one cake – a cheesecake chocolate bundt! Most of the time, I come up with baked goodies that are fast and easy to put together. 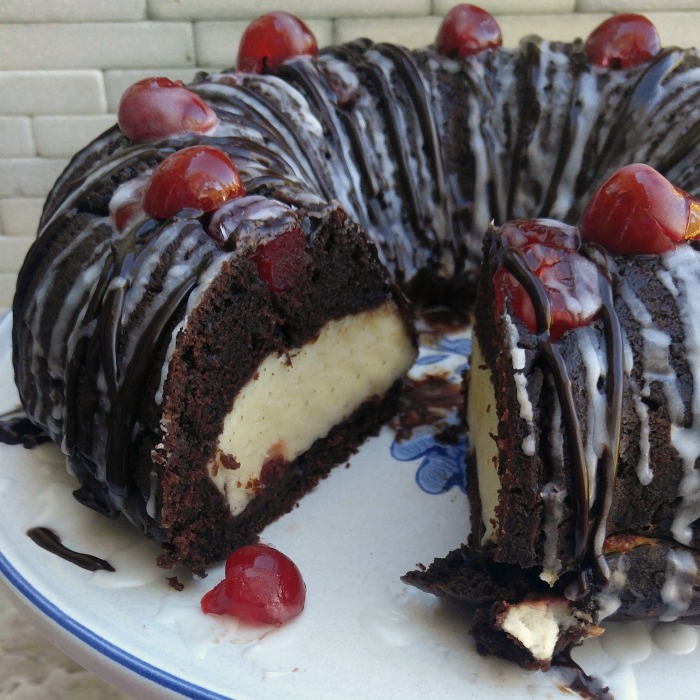 This Chocolate Cherry Cheesecake Bundt Cake is not one of those. It takes a little longer to prepare and bake but it is WELL WORTH THE EFFORT! Cherry cheesecakes are perfect for summer, but also do double duty for Christmas and Valentine’s Day because of the bright red color. See my recipe for mini cherry cheesecakes for another tasty option. This cake is the perfect choice for one of those special entertaining occasions that will happen between now and the end of the year. 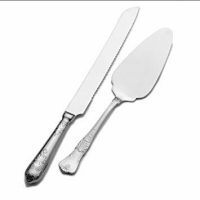 It would be the highlight of your Christmas dessert table and would make a wonderful ending to a special dinner party. If you love chocolate and cherries like I do, check out these chocolate cherry macaroons for a lighter Christmas sweet treat. I have always loved chocolate covered cherries, chocolate cake, and cheesecake. 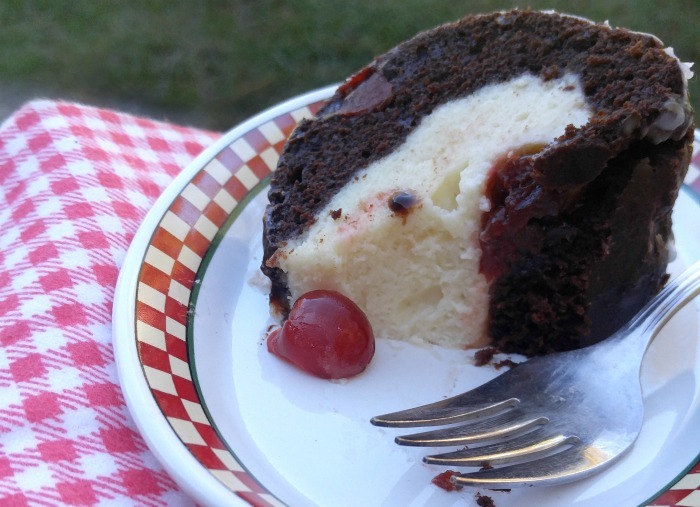 This delightful Chocolate Cherry Cheesecake Bundt Cake is a perfect combination of all three tastes in one delicious dessert. 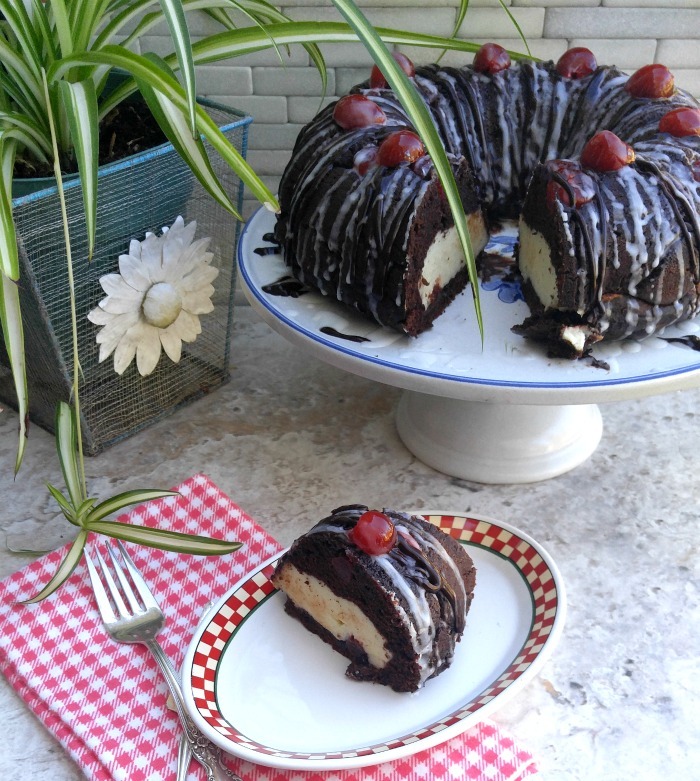 Let’s get going on this Chocolate Cherry Cheesecake Bundt Cake. Making a chocolate cherry bundt cake from scratch is not something that you can put together at the last minute. This cake takes some TLC and time on your part. The cake comes together in several steps. I started by combining the butter and water and melting it in the microwave. Then I added the cocoa, the dark chocolate chips, and stirred it all together. 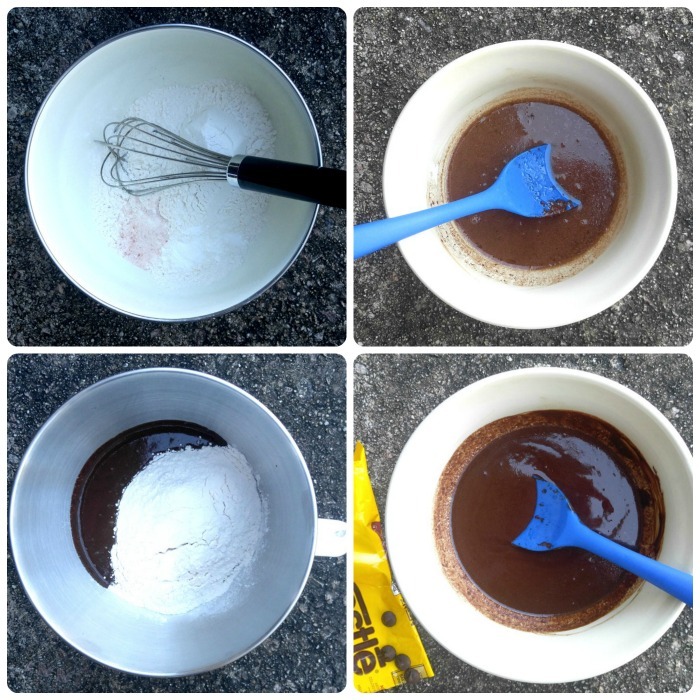 This makes a nice thick chocolaty mixture which then combines with the eggs and the whisked flour mixture. The cake is basically made of two batters. 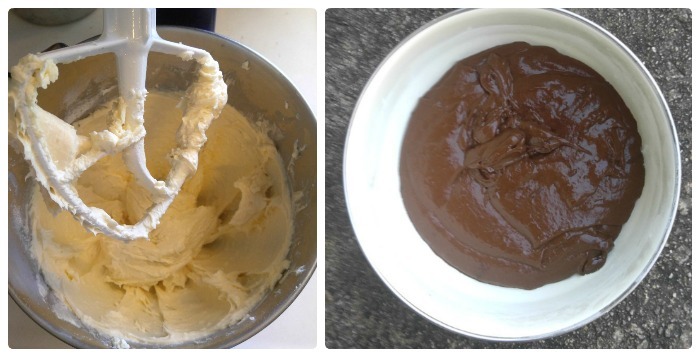 One is a thick chocolate batter and the other is a sugar, sour cream cheesecake batter. Both are scrumptious in flavor and will make the most amazing cake when combined. To assemble the cake, start by melting some butter and placing it in the bottom of a sprayed and floured pan. I used Bake Ease to coat my pan. It has both oil and flour in one spray and makes preparing the pan easy. Add a few tablespoons of brown sugar and then place the maraschino cherries in this sugary butter mixture. You can also use normal cherries if you would like but you’ll need to make sure the cherries are pitted first. Now it is time to add the layers for this chocolate covered cherry bundt cake. This is the fun part! Start with a chocolate batter layer. Then add the cheesecake and cherry pie filling layers, being careful not to let those layers touch the sides of the pan. Finally, add the rest of the chocolate batter and smooth it out and make sure that it goes on the outside and inside of the bundt pan. The cake goes into the oven for 50-60 minutes, until a tooth pick inserted into the cake comes out cleanly. Let it sit in the pan for 10 minutes and then remove to a wire rack to cool completely while you make the glaze. I made two different glazes for this cake. One uses powdered sugar and milk and the other is pure dark chocolate and milk. They both come together quickly and add both a sweet and a decadent taste to the glazes. 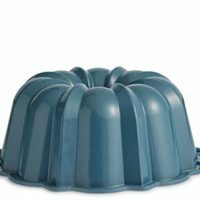 Once the Chocolate Cherry Cheesecake Bundt Cake has completely cooled and the glazes were made, I placed them each into icing bags and drizzled the cake with each one. I added a few cherries to the top of the cake then then drizzled more icing over them. 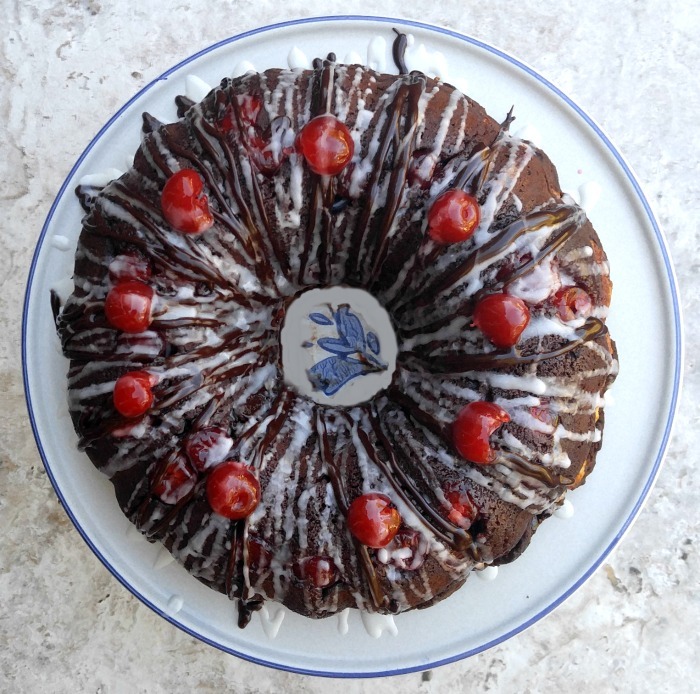 Special, delicious and amazingly to see when cut, this Chocolate Cherry Cheesecake Bundt Cake will be a hit with your guests. 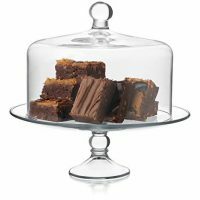 The cake is moist and rich and decadent with a velvety smooth inner layer.. Cutting into this amazing cake gives you the surprise layers of chocolate, cherries and cheesecake. It is not only delicious to eat, but pretty on the eyes. 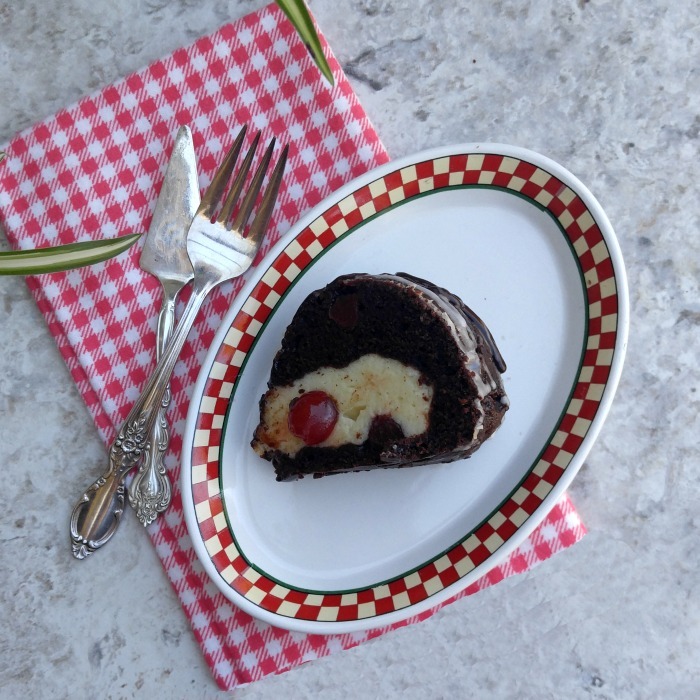 You know the saying “you eat with your eyes first?” Nothing could be a better example of this than this delicious Chocolate Cherry Cheesecake Bundt Cake. Your party guests will be asking for this recipe, I promise. Every bite of this chocolate bundt cake with cherry filling is a match made in chocolate, cherry cheesecake heaven. This is a cake that will rival any in your recipe arsenal. I guarantee that it will become a family favorite for years to come. For more delicious desserts, please visit my Sweet Endings Board on Pinterest. Do you have a favorite dessert that you save for those really special occasions? What is your recipe? 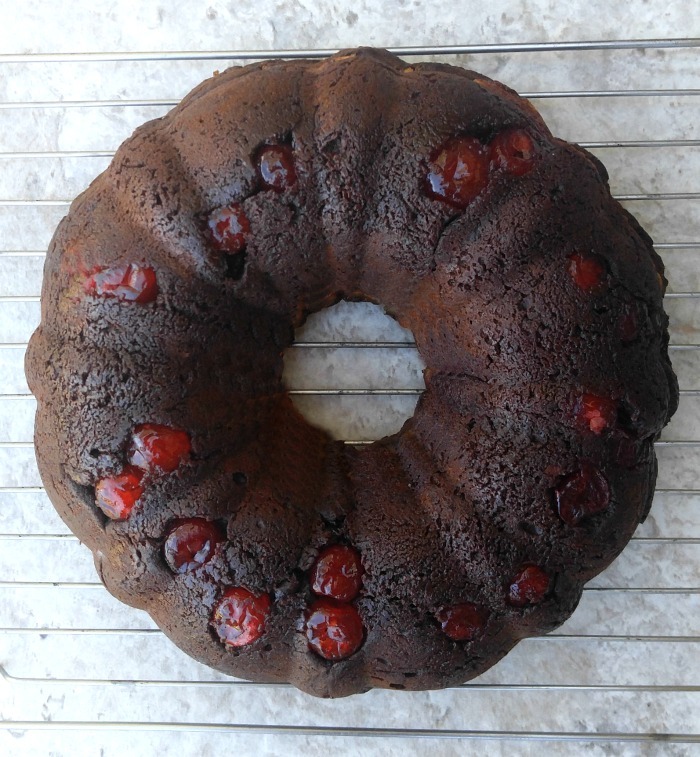 Would you like a reminder of this recipe for cherry bundt cake? Just pin this image to one of your dessert boards on Pinterest. 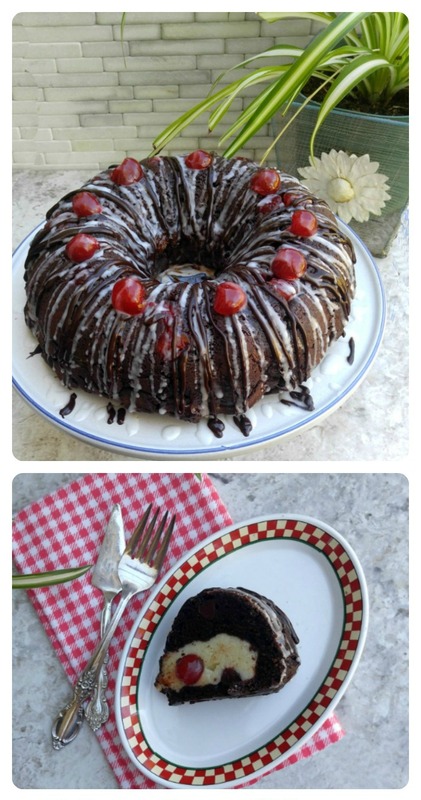 Admin note: This recipe for my chocolate cherry bundt cake first appeared on the blog in November of 2016. I have updated the recipe with a new recipe card, nutritional information and a video for you to enjoy. I also fixed some typos in the recipe that were reported by some readers. Thanks for alerting me to those! This Cherry Chocolate Cheesecake Bundt cake is a combination of cheesecake and chocolate cake in one delicious dessert. Add some cherries and a dark chocolate glaze, and this dessert is sure to become a favorite. Preheat the oven to 350℉. Spray a 10 inch Bundt pan with baking spray and flour. Set aside. Combine the water and butter in a microwave safe bowl. Heat until the butter has melted - checking often. Add the cocoa powder, and sour cream and stir until no lumps remain. Add in the chocolate chips, heat again for about 20 seconds until the chocolate has melted and the sauce is smooth. Stir in the eggs and vanilla. Combine the chocolate sauce with the whisked dry ingredients, stir to combine. In the bowl of a stand mixer, beat the cream cheese, granulated sugar and vanilla until the mixture is light and fluffy. Add in the flour and egg and beat until smooth. Pour 1 1/2 tbsp melted butter into the bottom of the prepared pan. Sprinkle 2 tbsp brown sugar evenly over the melted butter. 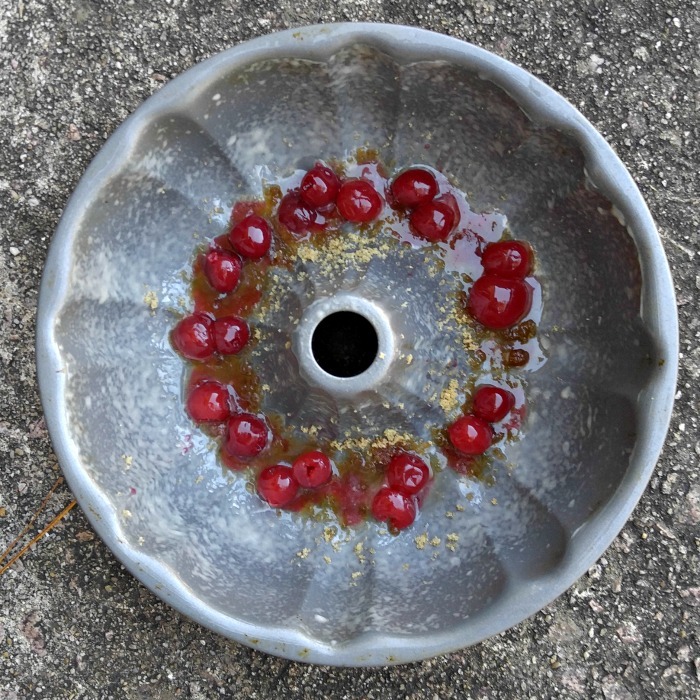 Place 2 maraschino cherries into each well of the pan. Pour 2/3 of the prepared chocolate batter on top of the cherries and smooth with a large spoon. Add the cheese cake filling into the center of the batter, being careful not to touch the edges of the pan. Spoon the cherry pie filling on top of the cheesecake filling, again being careful not to touch the edges. Pour the remainder of the chocolate batter into the pan making sure that both the inside and outside of the batter is well coated with the chocolate so that the outside of the cake will be all dark looking when done. Bake for 45-55 minutes until a toothpick inserted into the center comes out cleanly. Be sure not to over-bake or the cake will be dry. Cool on a wire rack for 10 minutes, then remove the cake and cool completely. Glaze 1:In a small bowl, combine the powdered sugar and skim milk and whisk until the glaze is smooth. Glaze 2: Add the dark chocolate chips and skim milk to a microwave safe bowl and heat for 1 minute. Stir until smooth. Place the glazes into icing bags and drizzle the cake. Add a few more Maraschino cherries, drizzle a bit more and then let the glaze set and serve. Enjoy! Carol, I tried to make this cake yesterday and it didn’t bake through fully. I checked it with a toothpick and it looked done but when I flipped it onto a plate, the bottom half was raw. I want to make it again and wondered if I lowered the temp and cooked it longer, if that would fi the problem. Hi Kat. Thanks for letting me know about your problem. This cake turned out perfectly for me but I have had several readers have problems with it. Your comment makes me wonder if it is my stove. When I made this cake, I had an older stove and the temperature of my oven may be what is causing this problem. I cooked mine 55 minutes and used a large 10″ bundt cake pan. All of the layers also contribute to the cake ending up with differences in texture depending on how thick each person does the layers. I’ve never had anyone say it didn’t cook through though. The more often comment is that it is dry which is why I give the 45-55 minute cooking time variation. Overcooking the cake definitely will dry it out. Thanks for your thoughts. I will definitely be making it again and if the temp adjustment works, I’ll let you know. FYI, we still ate it. Yummy. So AWSOME!!! I am going to play with the recipe to find a way to make it sugar free. We are trying to renovate our old eating habits and not miss out on great flavor. it’s in the oven and looks ravishing!! !